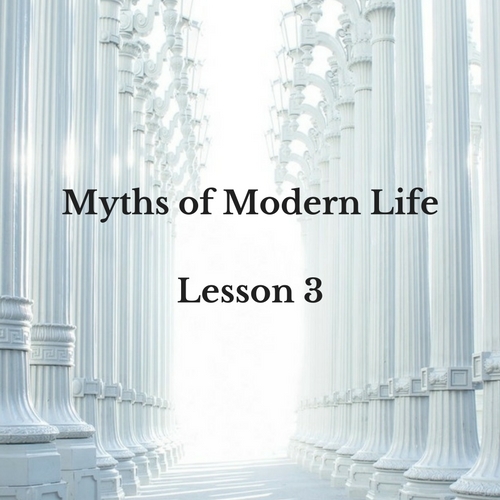 This is Lesson Three in a series of on how the five Myths of Modern Life are keeping people overwhelmed. Myth 3: I am not allowed to set healthy boundaries. This myth is in many ways the result of the first two; if you’re supposed to keep up with everything and always be on call, it means that whether you consciously think about it or not, you’re really telling yourself you aren’t allowed to set healthy boundaries. You’re feeling like you need to go along with the crowd and do what’s socially acceptable, instead of taking the time to figure out where you can help yourself out of overwhelm by making more conscious choices around your time and energy. Remember, what you “should” keep up with is always determined by you. Importance is relative and the only thing growing quickly is data itself, not importance. Being reachable at all times is a choice and one that is sometimes made repeatedly without a second thought. 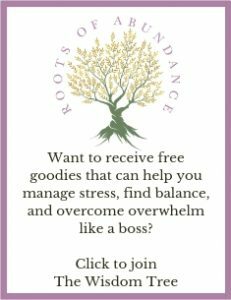 By learning to recognize your own habits and working with your feelings, you can begin to exert more control over your time and energy and set new healthy boundaries around both of them. Upcoming myths will address a few of these concerns, but for now, take some time to notice how you’re reacting to this myth. Many of us think we’ve set boundaries when in fact our behaviors don’t match what we say we’ve committed to. How comfortable are you setting boundaries, with yourself and with others? Think about a current boundary you have that is working successfully. How did you communicate it to others, and how have you been able to honor that boundary? If you were to set a new “audaciously brave” boundary for yourself, what would it be and how does thinking about setting that boundary make you feel?